So yesterday I told y'all my super exciting announcement. 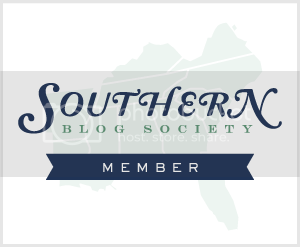 I talked about my last (and first!) experience with buying a car. Well, this next experience is going to be better, I’m sure of it. 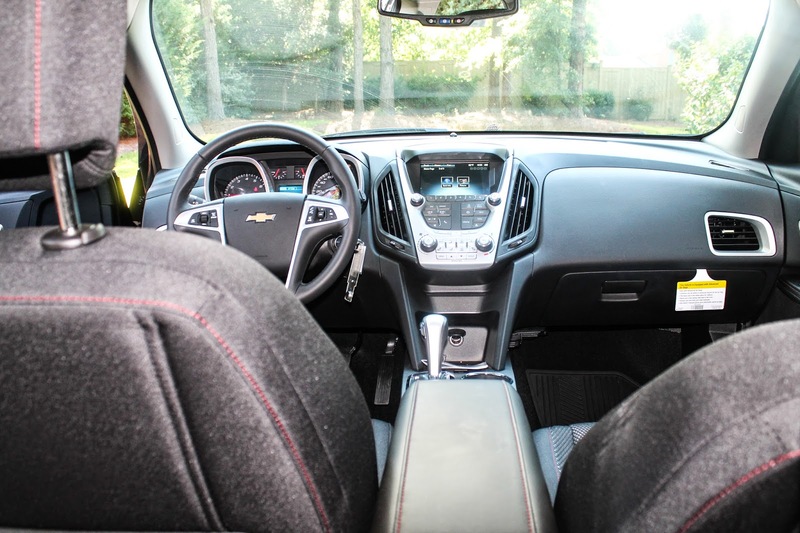 One reason for that is that for the next few months I will be test driving and writing real, honest, mom-to-mom, woman-to-woman car reviews for a variety of Chevrolet cars. 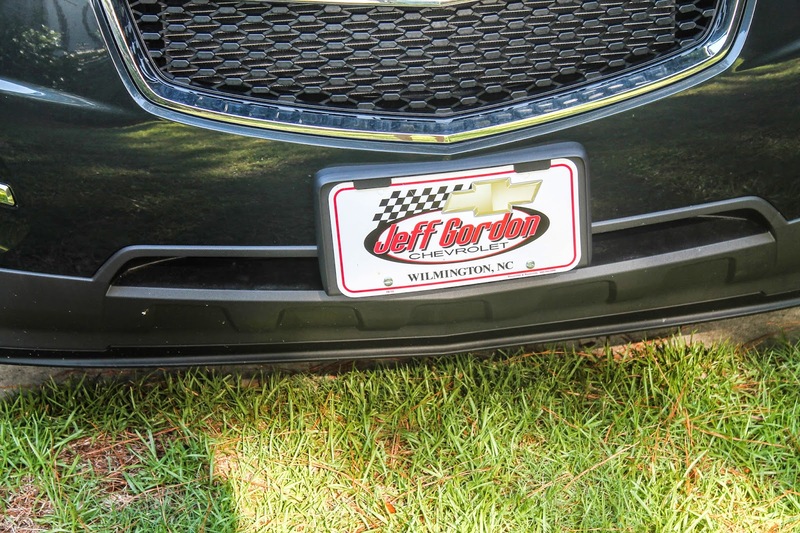 Jeff Gordon Chevrolet has been so kind to work with me during this process and have offered to work with any of you out there who are looking for a car. 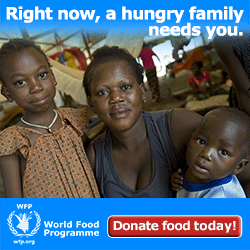 You can go to their website and even purchase a car online. You can also call their sales team with any questions, concerns or just to say hey! I have not met someone I didn’t want to hug over there, especially my boy Errington and sweet (now friend!) Leacy. (and be on the lookout early next week for my YouTube Video. I’ll post a link here, so you can get an actual tour of this gem of car). Price Range of car: The average paid for this car is $24,000 - $33,000 and that is according to US News. 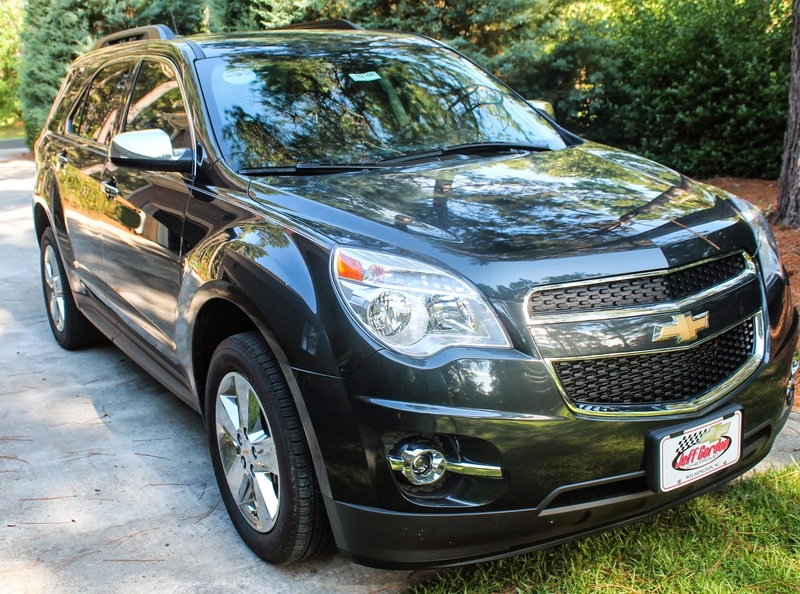 The 2014 LTZ that I drove (had only 60ish miles) was about $34,000. How does it drive: Y’all this car drives so smooth. I felt like the brakes were somewhere in between my old Lexus SUV (loose) and a Mercedes SUV (tight). One of my favorite features is that the steering wheel has so many positions. You can move it up, down, forward and backward. I SO wish I would’ve had that option when I was pregnant! 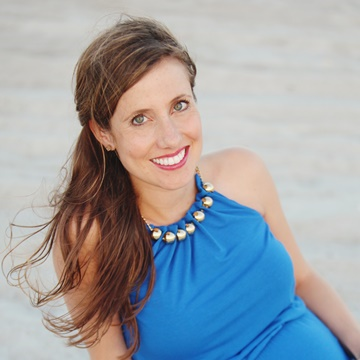 As my belly grew, driving became such a pain and so uncomfortable, not to mention the fact that I felt more and more unsafe with my belly so close to the steering wheel. 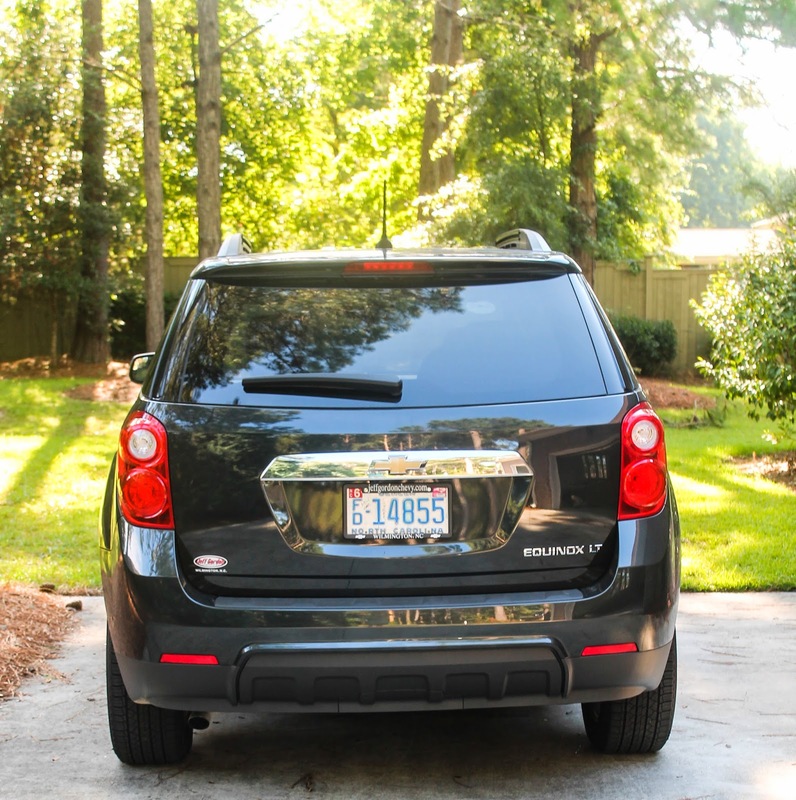 The Equinox allows you to adjust all of that to make sure you always have a comfortable fit no matter what shape or size you are. And as a woman I love that even when I’m not preggy! 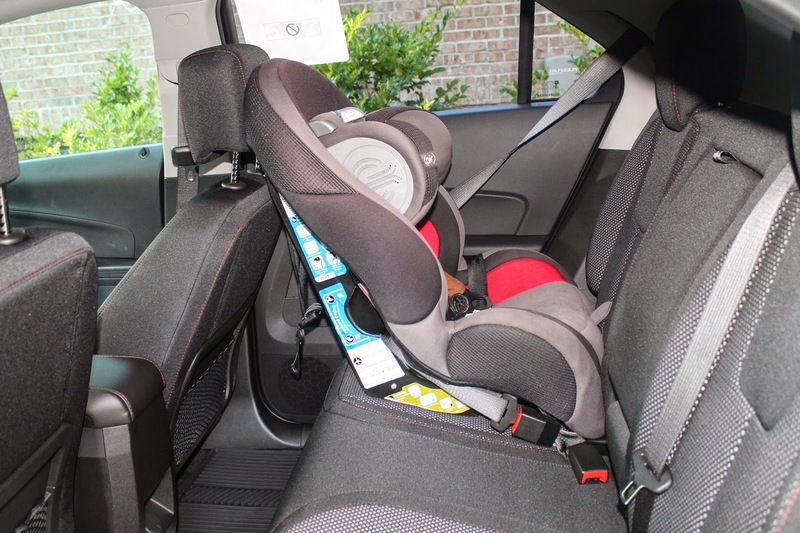 Safety Review: One of the most important things to me when potentially buying a car is safety – especially now that my heart and soul are packed carefully in the backseat with cheerios and a sippy cup. I need to know that if I were in a wreck, my baby angel would be protected as best as possible by the car I’m driving. 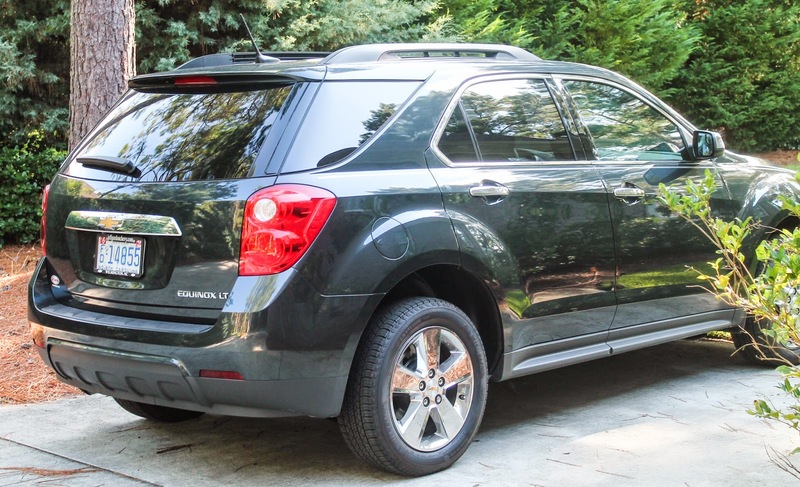 I will say that in the Chevy Equinox, I felt just that. It has all over air bags which is key, but another feature I love is the traction control. In Wilmington when it rains a lot (aka THIS WEEK), our streets and roads flood easily, leaving the sides of our roads filled with huge puddles that are somewhat unavoidable when driving. I can’t tell you how many times I have hydroplaned or saw wrecks around these puddles. Luckily with the Equinox I didn’t have to worry about it. I felt completely safe when I had to drive in uneasy conditions because of the traction control. Another one of my favorite features?!? 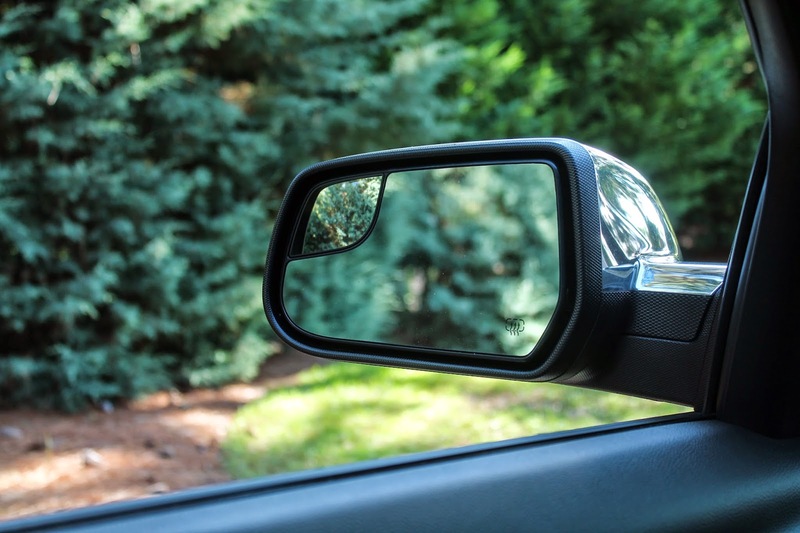 This may be my most favorite of all – the side view mirrors! They provide an excellent view of side traffic… And! And! They have another tiny mirror in the top corner that allows you to see the blind spot. I’m not going to lie, there has been a time or two where I may have not seen a car in my blind spot and tried to switch lanes, only to be honked and beeped at and been left with severe heart palpitations! Well, with this trusty little helper, that is never an issue. Overall, this car is safe and I would pack up my family in it in a heartbeat. Interior Review: The interior is so comfy y’all. 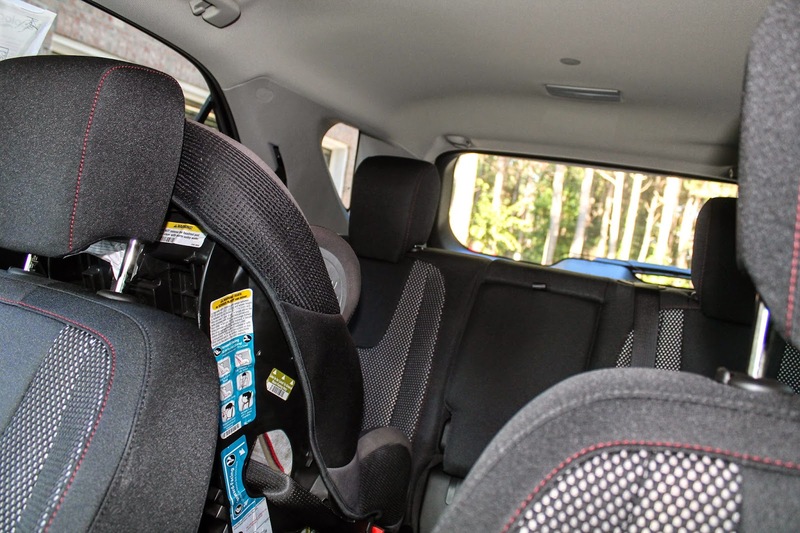 One of my biggest concerns was the back seat comfort level, because well, since having a baby, I find myself riding back there with her more than usual (I mean hello, who is going to provide and unending supply of Puffs and peek-a-boo on the way to church?!). So I was so pleased to find that I had plenty of room sitting behind the driver’s seat. And that is saying a lot considering my 6’4’’ husband was in the driver’s seat and also requires plenty of space up front. So the interior passed my first test for sure. 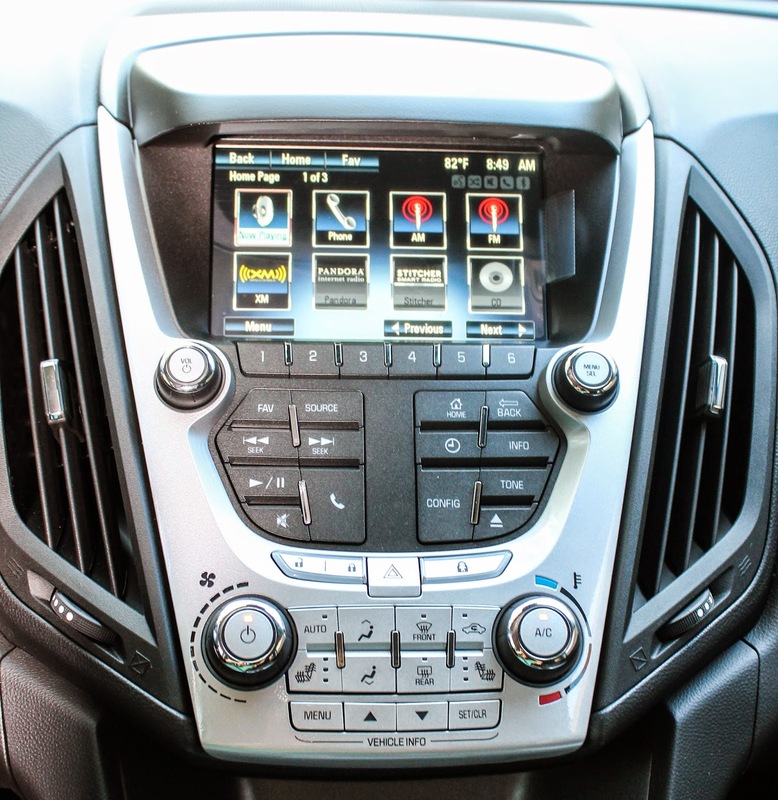 A few other things I loved: the dashboard and the center console. 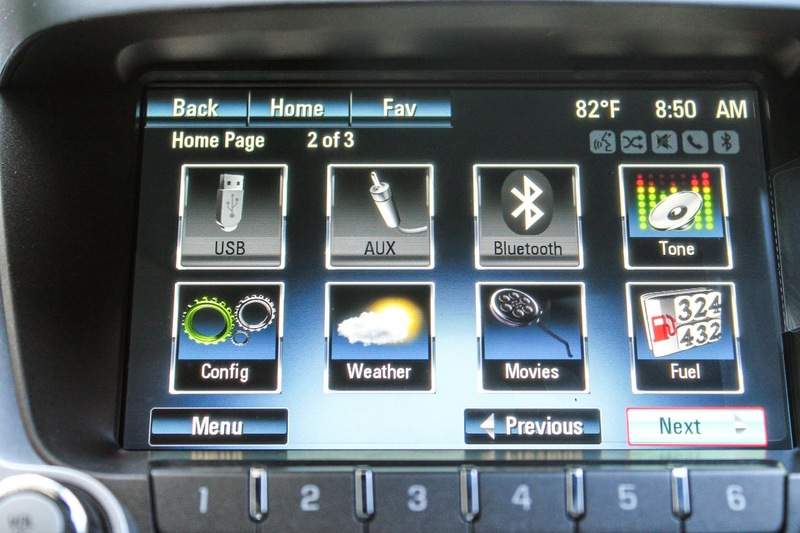 You can clearly see the pictures of the dashboard – so many amazing features. 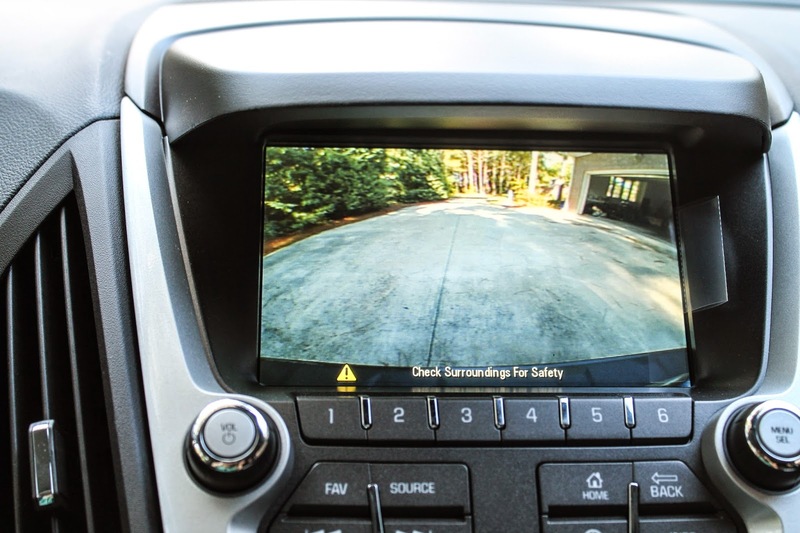 I love a back-up camera, because again, I may have backed into a parked car… or mailbox… or five. It happens ya know? Not with these cameras. So clear and easy to use. You can play your Pandora through this car too(G loves the Disney channel so she can sing along to Little Mermaid songs!). The Bluetooth feature is nice so I’m not fumbling with my phone when someone calls. And while I’m talking about phones here, you can charge your phone through the USB cord in the center console, so again, you are not tempted to mess with it. Love that. 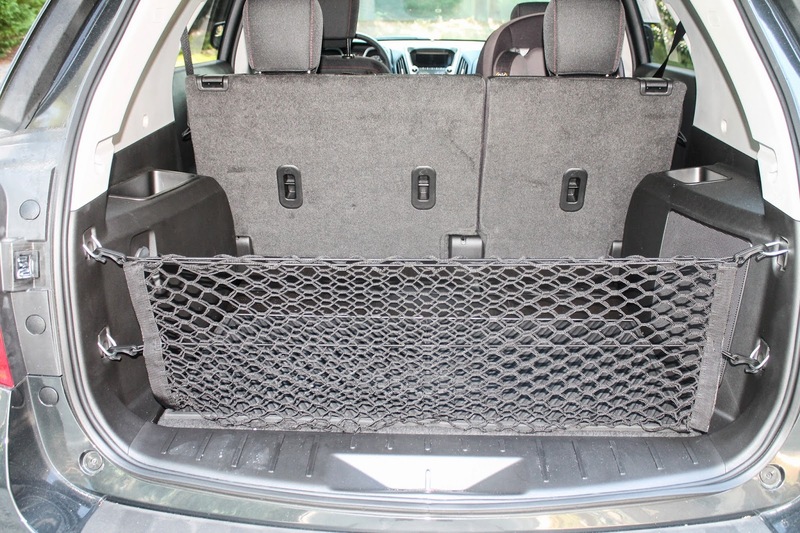 One thing I wish it had, and to be honest my last two compact SUV’s did not have this so I’m beginning to think it’s not a thing with this size car, was an overhead AC vent in the back. It gets hot here and I always hate putting G in the car seat even with the AC on full blast because I feel like she just can’t feel it. Maybe this is a silly worry of mine, and it has by no means affected whether I purchase a car or not, but just something to note. 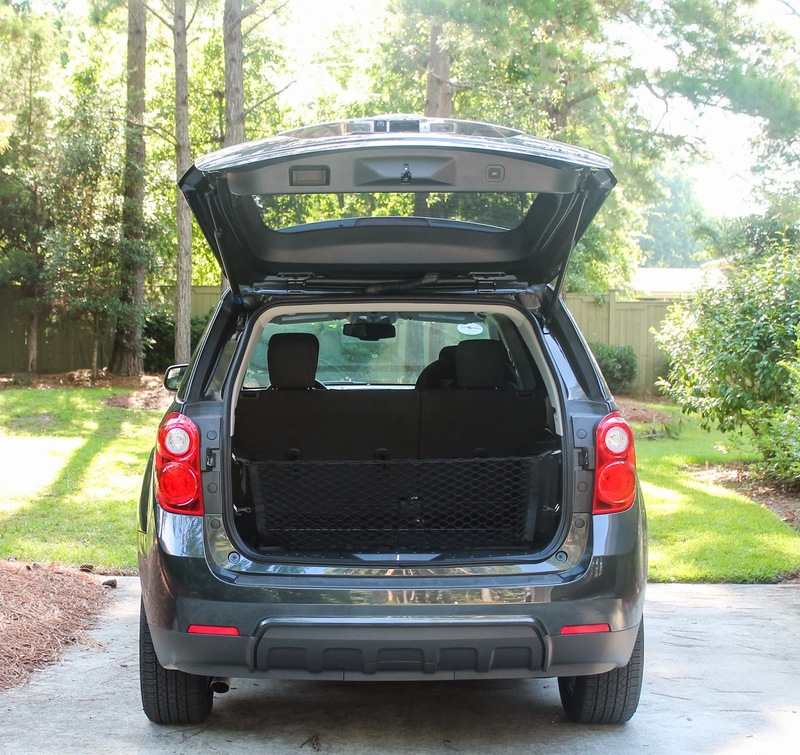 Trunk/Back Compartment Review: The back compartment is pretty standard to that of a Compact SUV. It is on the bigger side for sure and I love the grocery/storage net. The seats can also fold down for more room. And there are also a bunch of trims and options available so you can customize your car which is so fun. From me to you: Total honesty friends. I love this car. It may be the winner for Matt and I in the end, but only time will tell. It’s perfect for a slew of people. A growing family, a mom toting up to 2 kids, a couple who wants a car with some storage, a single parent who needs something bigger but still great on gas (It gets an EPA-estimated 22 MPG city/32 highway). 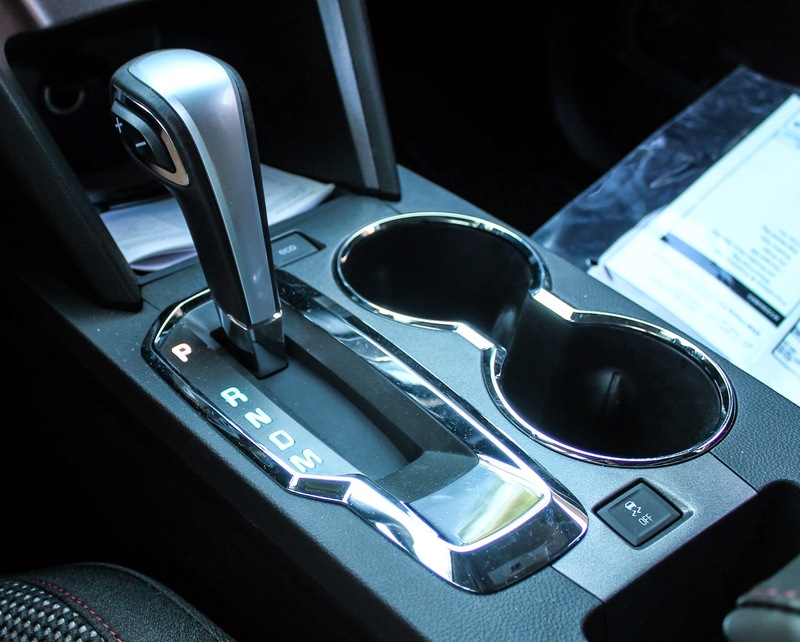 This is the perfect transition from a sedan to an SUV. It has four thumbs up from G and I that’s for sure. So that's what I thought. 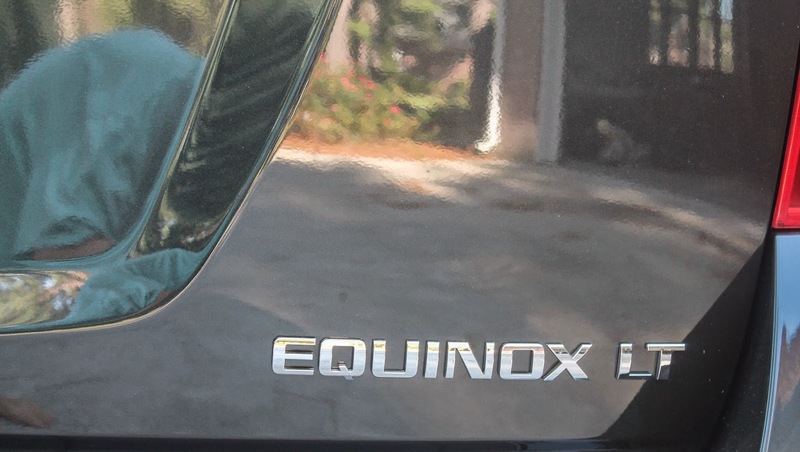 Any of y'all have an Equinox? Anything you are curious about that I didn't cover? Any car you would like me to review in particular? Maybe one you are interested in? Comment below or send an email to denise.lopatka@gmail.com and I'll see what I can do! Oh girl you know I love me some Chevys!!! Impala, what what?! That car was definitely the most comfortable I've ever been in ... And I do miss it! 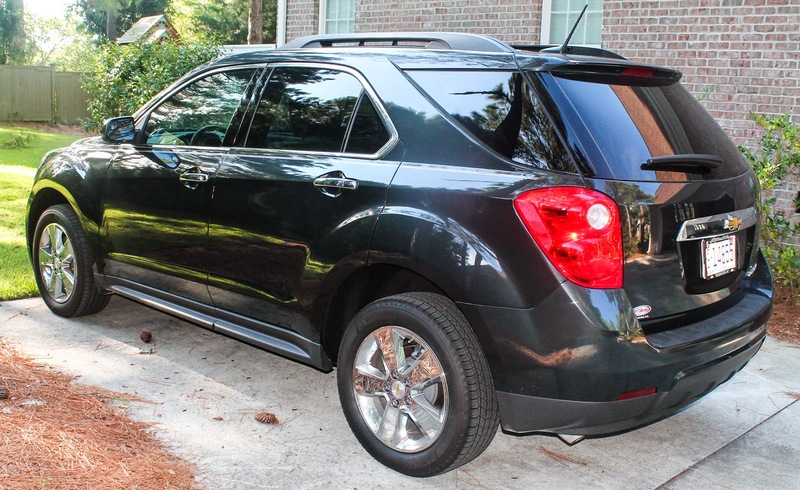 Hi I was just reading this review as we are looking into getting an Equinox and I felt the need to reach out. 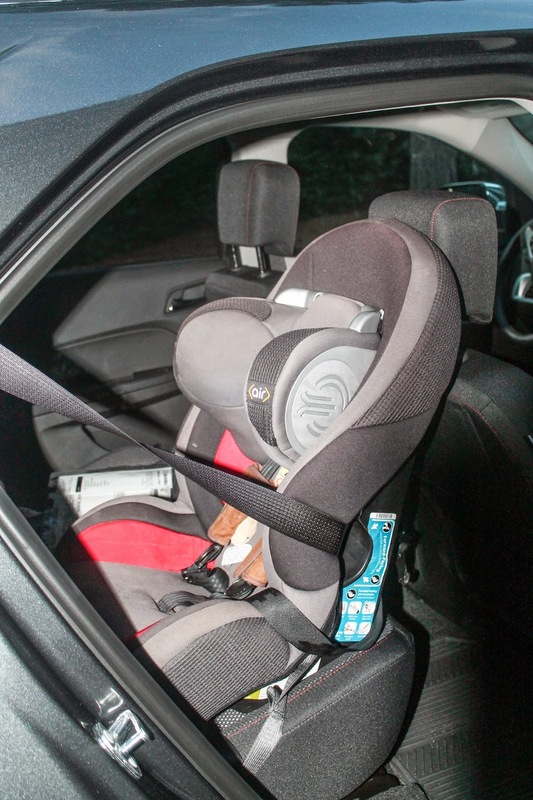 Your car seat isn't installed right-you have the belt going through the forward facing belt path when the seat is rear facing. I don't mean to nit pick but that could potentially be a deadly mistake if your child were to be in that seat during an accident. Review of the car has been changing the minds and thoughts of the people. Most of the reviews have been changed with the help of the new content for the future buyers of the cars.